A clean business is a good business. With NDC’s mop rental services, you don’t have to let dirt and grime get in the way of making a good impression on your customers! Choose from our selection of high-quality mops that are designed to handle the toughest cleaning needs. Dust Mops – high quality mops designed for optimal removal of surface dirt, dust, and debris without damaging your flooring. Wet Mops – heavy-duty mops that can withstand exposure to water, strong floor cleaners, oil, and mud. 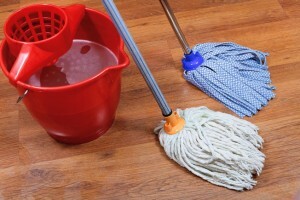 Why Get Mops from NDC? Steady supply. You’ll never have to worry about running out of clean and proper mops for use in your workspace. High-quality mops for industrial use. Our heavy-duty wet and dust mops are designed to cater to the needs of business spaces of all sizes. NDC mops will work as hard as you do! Consultants that attend to your needs. NDC has a team of highly-qualified consultants who know the ins and outs of the cleaning business. Our experts can answer all your mop concerns! Don’t let grease and grime taint your clean business image! Cleanliness is a huge factor not only in making new customers but more importantly in retaining customers. A smudge of dirt on your floors can be taken as an indication of neglect and deter your customers from coming back. Whatever industry you are in, keep your business space spotless. Stock up on proper cleaning implements with the help of NDC’s mop rental program. Our mops are made of the best materials and are replaced regularly to ensure optimum performance every time. They are designed for hard cleaning, for use on most surfaces and to be used with most floor cleaners, to always bring out the best and cleanest version of your workspace. Don’t let dirt get in the way of good business. Keep a clean floor and a clean image with the help of NDC! Contact us at 800-238-2387 today for a consultation!